Light Duty towing one of the most common types of towing services. Our light duty tow trucks are ideal for passenger vehicles and motorcycles. 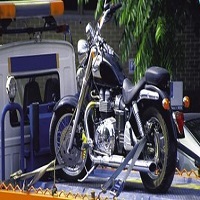 We can tow vehicles such as cars, SUVs, motorcycles, Mini-vans and more. 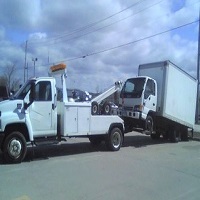 Our tow trucks are fully equipped with all the required tools necessary for light duty towing. With our team of experienced towing experts, we are your number one choice when it comes to light duty towing. 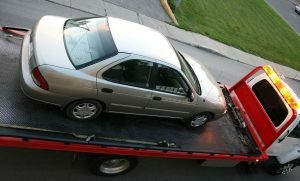 Woodland Hills Towing provides affordable and fast medium duty towing services. Towing medium-duty vehicles is different and can be a challenging task which requires more technical experience. Our technicians are trained highly skilled in towing. We are your best option in doing the job. We will listen to our customers and provide the best services possible. Our fleet of tow trucks is available for towing medium-sized trucks, RVs, motorhomes, vans, trailers, and other medium-duty vehicles. Let our phone dispatcher know about the details of your medium duty vehicle issues, model and make, as well as the location. We will have your vehicle moved safely. No company will risk damaging heavy-duty vehicle or equipment by choosing the wrong towing company to do the job. Towing heavy trucks or vehicles is a technical job that is dangerous. 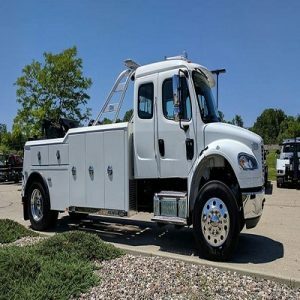 Our heavy duty tow squad is complete with state-of-the-art tow trucks and equipment, as well as experienced professionals for handling difficult situations. We tow most large vehicles including RVs, motorhomes, buses and more. Our team is always ready and prepared to go on-site for your heavy-duty towing needs. We can aid you to move the damaged, functional or new trucks for under any conditions. Our technicians can come to your location fast, so don’t hesitate when you need assistance. 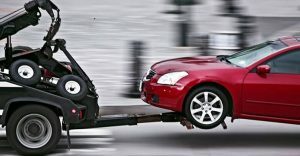 If you are looking for the best all-around towing method, we advise considering our affordable flatbed towing services. Flatbed towing is one of the safest methods in transporting vehicles, as the wheels of the vehicle are lifted off from the ground and fastened tightly to the platform or ramp. Thus it is unlikely to experience wear or tear to the vehicle. Whether it is for regular cars, luxury cars, exotic or vintage vehicles, Woodland Hills Towing has moved many of these vehicles at affordable flatbed rates. Wheel lift towing method operates off a hydraulic lift and metal yoke to tow the vehicles, it allows us to access the tightest parking situations. It is a quick and efficient way of towing vehicles, especially in tight and narrow spots. Hooking up the vehicle is quick and efficient, and your vehicle can be towed to reasonable distances. Being one of the easiest methods of towing, it can deliver maximum results with minimum effort and tools without causing damage to vehicles.don’t hesitate when you need assistance.